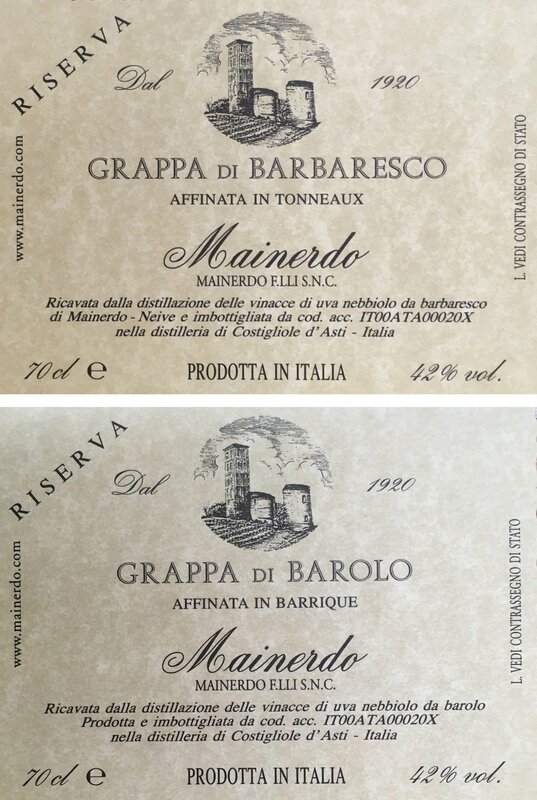 Marc: 100% Nebbiolo used for Barbaresco and Barolo. Area of origin: Municipalities of Neive, Barbaresco and Serralunga d’Alba. Ageing: 48 months in tonneaux and barriques made of cherry and acacia wood. Tasting notes: careful and attentive distilling maintains all the character and structure of this great grape variety. Palate: smooth, velvety and spicy, with subtle scents of noble wood. 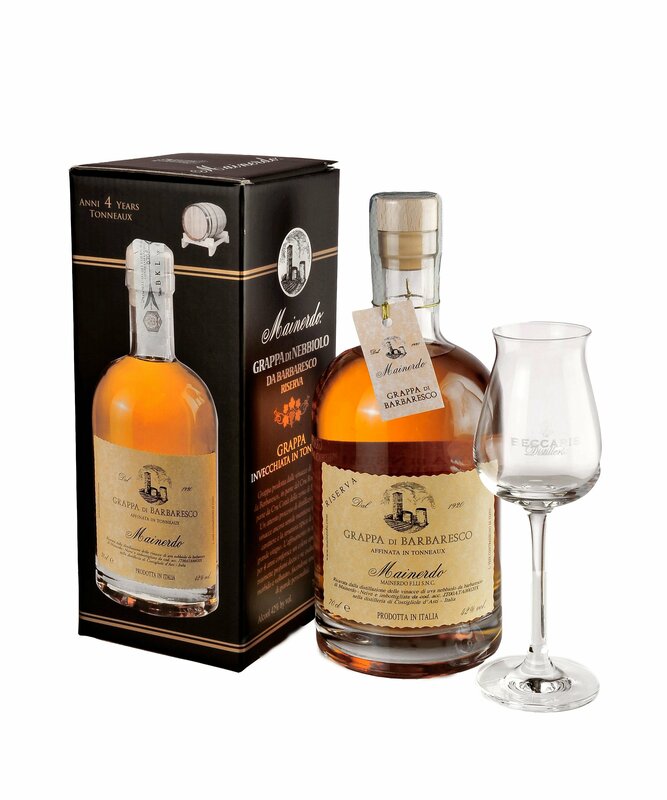 Its evident and intense aromas give this grappa a great personality. Bottle sizes: prestigious nocturne bottle of the type used for rum, 70 cl. with single-bottle customised box.